“Jose de Rivera,” Histories of the National Mall, accessed April 22, 2019, http://mallhistory.org/items/show/527. When the architect of the National Museum of History and Technology wanted an outdoor sculpture designed for the new museum opening in the mid-1960s, he recommended artist Jose de Rivera. Rivera was an established sculptor known for his abstract forms, kinetic elements, and experience designing for public spaces. de Rivera created, "Infinity," which stands on the Mall side of the building now called the National Museum of American History. In 1997, following de Rivera's death, his son donated some of the tools used to create "Infinity" for the museum's collections. Archives of American Art. View original. Jose de Rivera was born Jose A. Ruiz in Baton Rouge, Louisiana. He grew up near New Orleans on a sugar plantation where his father worked. de Rivera learned blacksmithing and machine work on the plantation, skills which he would later use to make art. After graduating high school in 1922, he moved to Chicago. There he worked during he day and took art classes at night. It was around this time that he changed his last name to his maternal grandmother’s maiden name. In 1926, he married Rose Covelli, and together they had a child. In the early 1930s, de Rivera began creating sculpture and spent a year traveling in North Africa and Europe studying art. He then moved to New York City, where he established himself as an artist. 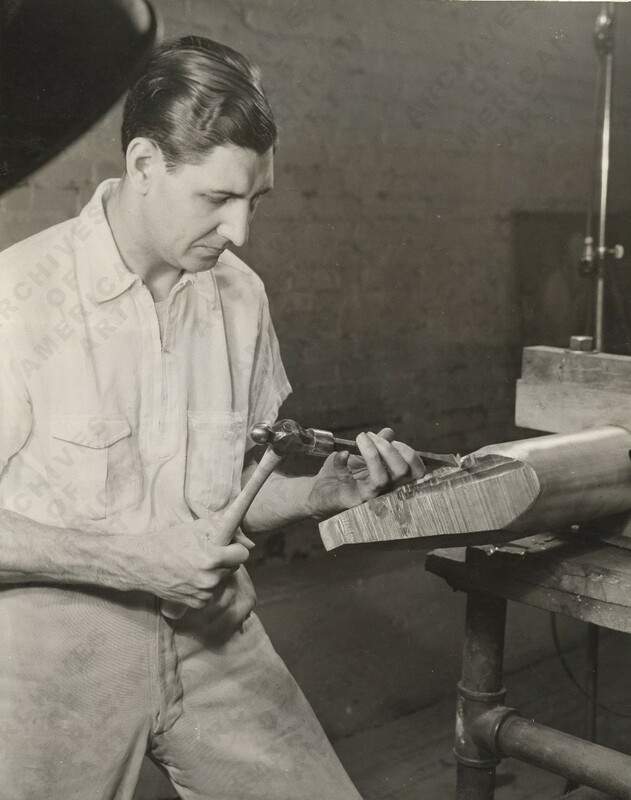 By the late 1930s he was working for the Works Progress Administration’s Federal Art Project in the Sculpture Division, creating sculpture for public spaces. Among the pieces he produced for the Federal Art Project was Flight, an installation at the Newark Airport. He served in the Army Air Corps during World War II, then returned to his art career. His first solo exhibition was in 1946 at the Mortimer Levitt gallery in New York City. In 1955, he divorced Rose Covelli and soon after married Lita J. Jeronimo. deRivera died in 1985 in New York City.